After many years of experience in the industry as an HR manager, I moved into teaching in 1999 and have since taught the full range of CIPD programmes and many other business qualifications, both in a classroom and distance learning. 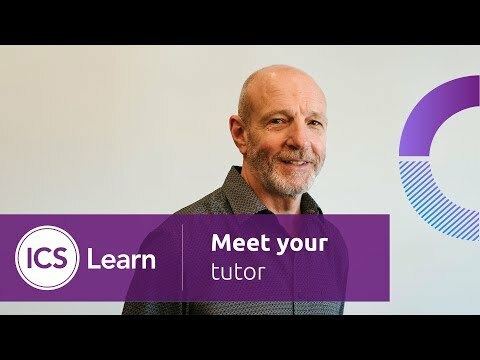 I've been an ICS Learn tutor since 2008. I'm a Chartered Fellow (FCIPD) of the CIPD with Post Graduate Degree qualifications in Employment Law (PG dip), in Teaching Further Education (TQFE) and in Teaching English as a Foreign Language (TEFL). In addition to teaching, my work involves researching, writing and updating courses and learning materials which maintains my professional knowledge and awareness of emerging ideas. I find it rewarding supporting learners through the particular challenges that distance learning can involve. I enjoy contributing towards a learner’s success and to their advancement in their chosen profession.